Originally launched in November, the Tradfri smart plugs are did not ship with support for HomeKit. A firmware update released for the Gateway, the central hub Ikea's smart home system uses to control all of the devices in the range, adds the extended functionality. The firmware is rolling out as an over-the-air update in the United States, followed by other markets in the coming weeks. Exact timings for delivery of the firmware to customers in the other markets was not advised. 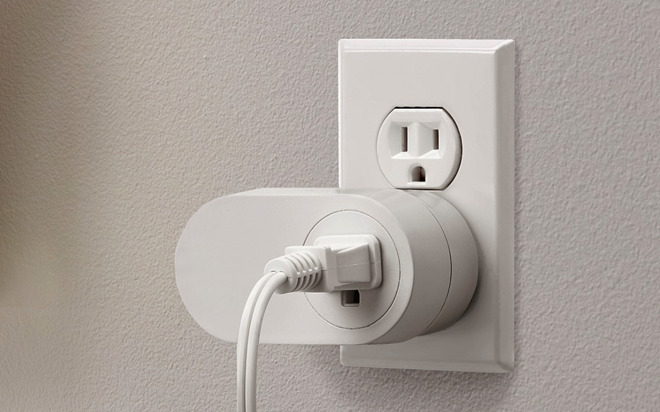 The Tradfri smart plugs are unusual in their design as they are physically large, but can be mounted so they do not block off another socket to the side or above with the rest of the casing. While the plugs can be bought individually, they do require the Tradfri Gateway in order to function, something that other HomeKit-enabled smart plugs do not require. Sold individually for $9.99 each and $29.99 for the hub on its own, the system can be relatively expensive compared to other options on the market when used for a single outlet. At two plugs, the system is comparable in price to many other options, but becomes a more attractive prospect in terms of cost at higher plug quantities. Ikea has had trouble in the past in adding HomeKit support to its smart home products. One attempt in October 2017 to add it to its Tradfri lighting range was later backtracked over "technical difficulties." The firm is anticipated to launch HomeKit-ready Smart Shades later in 2019.